With only 12 days until he arrives, we're starting to get Puppy ready. 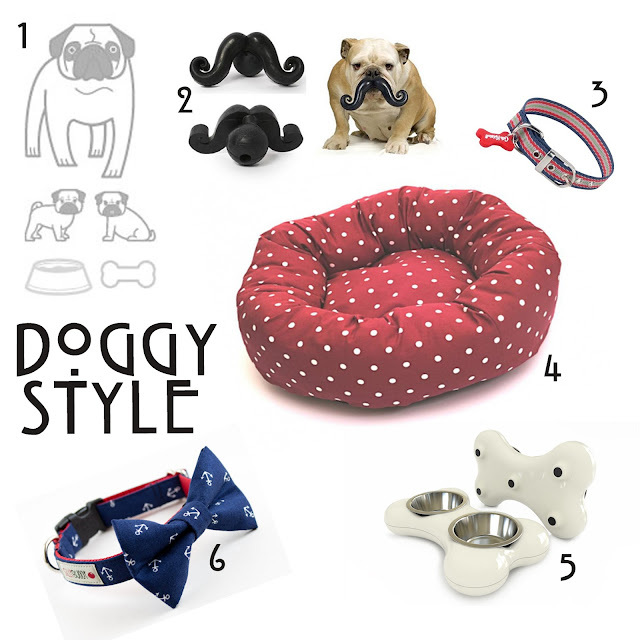 Here are just a few bits and pieces I am pretty sure will be essential* when puppy arrives! *I suspect the boy does not share this view about all these items. Thank you. fingers crossed i get 50% of it. That mustache ball toy is to die for! I know. i really want one RIGHT NOW, but they cost sooooooooo much. Pampered. Spoilt rotten more like. I predict full on teenage tantrums when I won't buy him a new bone & demands of a sweet 16 party complete with snoop dogg performing!